It’s all in the timing when it comes to harvesting sweet corn. Prime picking time can be as short as two or three days depending on daily temperatures. Sweet corn is ready to pick about two to three weeks after the silks first emerge from the developing ears — mark the date on your calender. After a couple of weeks check the condition of the silks. If they are still quite green you have plenty of time to wait, if they are starting to turn brown check them every few days or so. When the silks have turned completely brown and have dried up, it means the corn kernels are approaching the “milk stage” — the best time to pick. This sweet corn needs about another week before picking. These is a test you can do to make sure your corn is at it’s peak flavor: Peel back the husk on an ear and use your thumbnail to squeeze a kernel until it pops. If the juice is looks milky, it is time to pick. 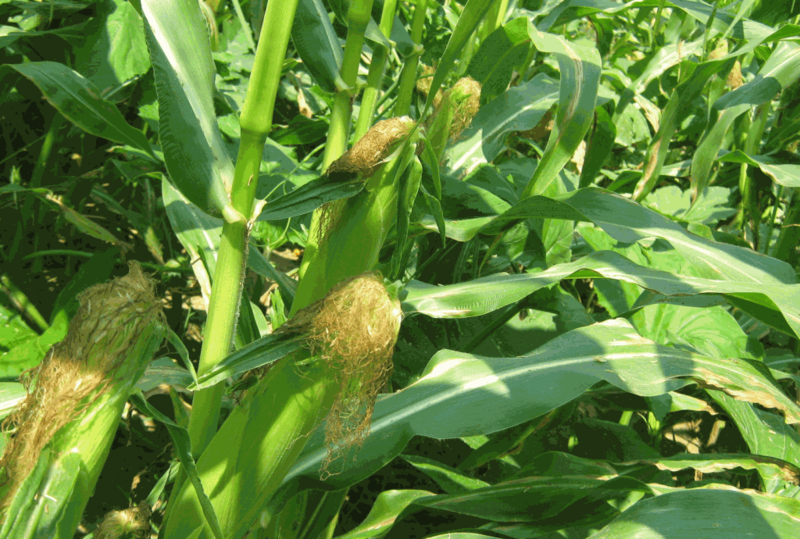 This is the stage of development most people prefer for their sweet corn. One week later, the sweet corn is ready to go. Watery-looking juice means the ear needs a couple more days to mature. 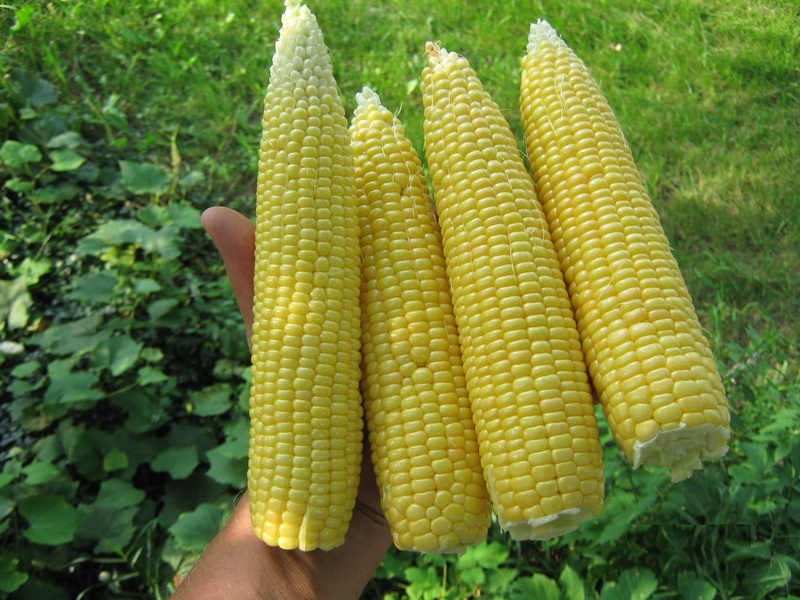 Immature sweet corn while having a tender texture, doesn’t have much flavor. Over-ripe sweet corn kernels are doughy when you give them the squeeze test. The kernels are chewy and have a less-sweet, starchier flavor. I know of some older people who prefer their sweet corn at this more mature stage, but they are in a small minority. I planted my sweet corn this spring on three separate dates about ten days apart. Doing that will spread my harvest over a longer period of time. I won’t have to frantically pick and freeze my crop all at once. This cool growing season has got me worried about my tomatoes. These are not ordinary tomatoes, they are my own strain that I have been propagating for seven years. Back in the spring, I started the seeds a little later than I should have but wasn’t concerned. In a normal growing season they would have had plenty of time to mature and produce the seeds I need to continue my strain. This year, it looks like it will be nip and tuck for these tomatoes — no tomatoes , no seeds. Unfortunately, these are the last of my seeds, I have no more in storage so I really need them to produce. My plan now is to build small plastic tents this week to help raise the temperature during the day and keep them warm overnight. Hopefully, that will push them along enough to produce tomatoes and allow me to continue my variety. A few warm weeks will help too. 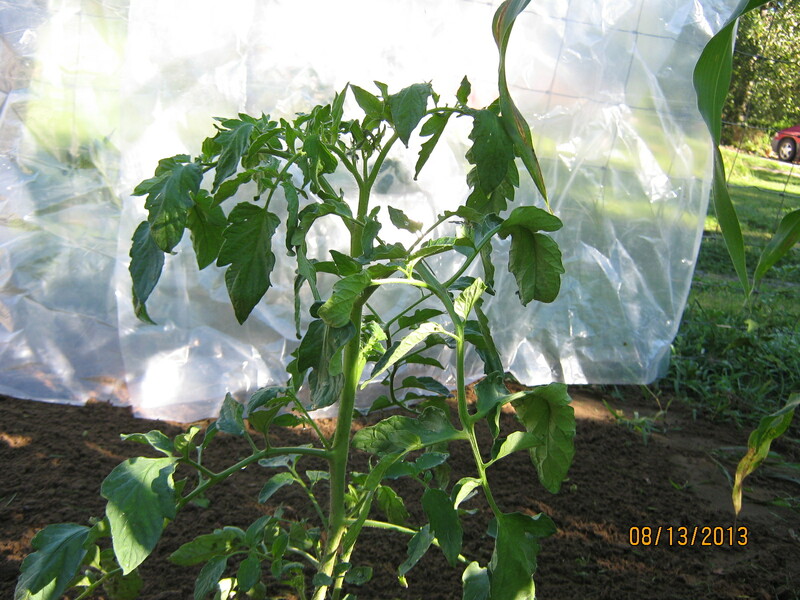 These tomatoes will make explosive growth if we get a period of warm weather. If not, I have a plan B. I’m growing a few in pots that I can move indoors in the fall and get seeds that way. With any luck, in a few more decades, my grandchildren should have their very own heirloom variety. It sure looked like it was going to be a banner year for my potatoes. I planted three rows, sixty feet long, in the deepest darkest garden soil I have. The cool temperatures and regular rain at the beginning of the season pushed them along — I never had such a beautiful looking potato patch. I was already worrying about what to do with my bumper crop. I mounded up my potatoes early on so that the rows sat about six inches above the garden bed. This was going to give them plenty of space to produce lots of spuds. Then the rains kept coming and the potato patch started getting pretty wet. The soil was so wet that I couldn’t walk in that area without rubber boots. The roots rotted away because of too much water. 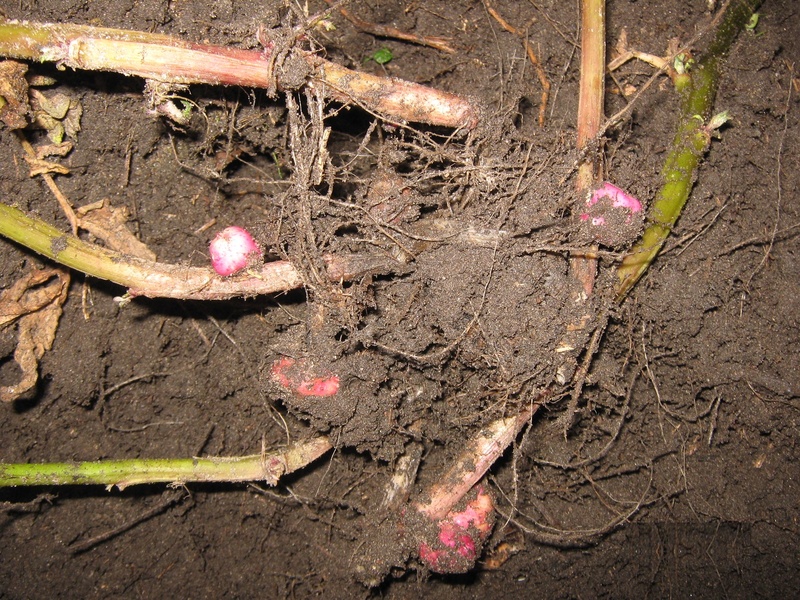 The plants still attempted to produce potatoes by growing potato-like tubers on the stems. The last straw came when a storm dumped over four inches of rain all at once. The potatoes were standing in water for days — the raised rows looked like islands in a pond. Now, what once looked like a surplus of potatoes, is now a crop failure. I’ve gardened in that spot for many years and never had a water problem like that in July. You never know what a new garden season will bring. Next year it may be a plague of insects. Or, maybe it will be a bumper crop — that’s what keeps it interesting.